Let’s have a look at how savings rates have changed over the past year, and how you can maximise savings in the face of rate cuts. 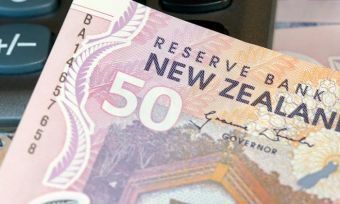 Over the past year, the Reserve Bank of New Zealand (RBNZ) has cut the OCR two times, decreasing by a total of 0.50% or 50 basis points from May 2016 to May 2017. The last cut – from 2.00% to 1.75% on the 10 November update – brought the OCR to a record low. Reasons for the rate cuts include: uncertainty around the future of dairy – on the back of a declines in this industry – and an aim to stimulate inflation. While there has been an increasing trend toward banks making rate changes irrespective of RBNZ OCR decisions, savings rates are mirroring OCR cuts to a certain extent. Unfortunately, this means a lower return for savings. But the good news is, reductions are not to the same extent as cash rate cuts. Despite the cash rate cut of 0.50%, savings interest rates have only decreased by a maximum of 0.47% (when comparing the average rate) and by as little as 0.15% in the case of minimum total savings interest rates. You can still get more bang for your buck with savings accounts by being proactive and doing your research. In a guide about savings, it might seem a little contradictory to advise shopping as a money-making strategy. But hear us out. Shopping around for a savings account with outstanding value will help consumers get the best bang for their buck, even when fighting against interest rate cuts. The difference between minimum and maximum rates can make a real difference to your savings return, especially if you’re making regular contributions to the account. Focusing on the 2017 rates, there is a sizeable difference between savings account interest rates, according to Canstar’s database. Comparing the maximum savings interest rate of 2.80% with the minimum of 0.10%, that’s a 2.7% difference! Another way to maximise your savings, is to do your research on any conditions attached to how you earn interest in any accounts. A common way consumers can get stung is by moving money from a savings account to another account, effectively working as if you are making a transaction from a savings account. Not all accounts will penalise you for this, but it is often a condition attached to accounts with additional “bonus” or “reward” increases. Generally, with these types of accounts, you earn extra interest for making regular deposits, but will lose this additional interest if you move money out of the account. The incentive here is for consumers to grow their savings account by making deposits, but not withdrawing any money. If you think you may need to dip into savings, then an option is to consider having a general savings account, where you won’t get penalised for dipping into the funds, alongside a bonus saver account. The most suitable savings account will of course depend on your own needs and goals, so make sure you read up on the options available. There are also other fees attached to various account types, which can mean money down the drain if you aren’t aware. Read more on account fees, here.